We know our success begins with our people; it is our people who shape our culture and reputation. Our company and our people are unique, with a work force of around 360, we are a relatively small team, however we manage one of Brisbane’s and Queensland’s biggest and most important public infrastructure assets. Brisbane Airport Corporation (BAC) is the operator of Brisbane Airport, the premier gateway to Queensland and the third largest airport in Australia by passenger numbers. Our unique culture can be attributed to our people. It is our everyday attitude, integrity and work ethic that is what sets us apart and drives our success. 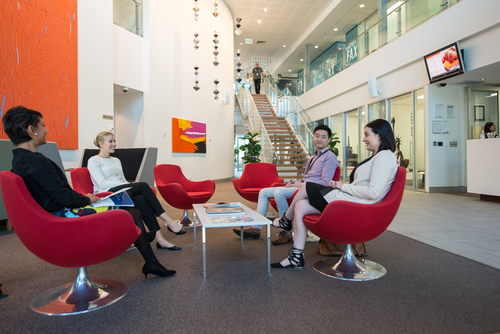 We believe our ability to maintain and build this family focused culture whilst growing to be a billion dollar organisation, and one of Queensland’s largest companies, is our point of difference. Every year we hold Passion Days, a fun team building and networking event. These have become a highpoint on the BAC calendar and provide the opportunity to build strong networks and friendships across the business, as well as give back to our community. Last year, we helped to build prosthetic hands for children in developing countries. We understand the importance of managing work and home responsibilities and so, over selected periods of the school holidays periods, we try to help by hosting our BACaction Care; a fun and educational vacation care program for employee’s children. Every day we strive to inspire and enable everyone at BAC to be their best. We are proud to support the personal and professional development of staff and we offer our people exciting challenges. We encourage our team to undertake regular training and development opportunities, with an average of $2,500 spent on each employee per year. BAC also hosts the International Exchange and Development program, where we have partnered with Schiphol Airport, Amsterdam, providing an opportunity for employees to participate in a three month secondment to Schiphol Airport. Other development opportunities at BAC include;. As a gateway to Australia, BAC recognises that the diverse workforce we have is key to achieving our future goals and strategies.